The 2018 season is the second time in a decade that, when the vibe of Australian Rules Football has wandered into a defensive vogue, West Coast has stepped in, based their play on pace and superior ball use, won the premiership and restored equilibrium. The globalisation and homogenisation of modern society have not only affected how everyone worldwide hears the same songs and watches the same movies right around the world. ; AFL also once had very regional quirks, described in James Coventry’s detailed work on footy tactics, Time and Space. South Australians traditionally used a lot of handball and skill, mentioned in the 1990s in the overworked phrase ‘Crow throw’. Western Australia, with its sunny weather and firm turf, featured lots of pace and running. Victoria, with its muddy winters, was a tougher game involving getting stuck in, winning the hard ball and supporting teammates in close but with less focus on intricate skills. It was recognised that the hard stuff won the head-to-head battles in the crunch. In the 1990s Michael Malthouse and Malcolm Blight focused on instilling in West Coast and Adelaide respectively a Victorian-style defensive grit, and each won two premierships. But Coventry suggests that the national competition was the death of regional styles of football. 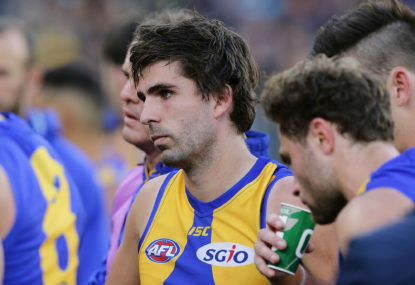 From what I’ve seen of West Coast this year their game involves lots of dynamism, perhaps even some of the old-style West Australian joie de vivre; good ball movement, running with the ball and high-marking forwards, all going against the grain of the aftermath of Richmond’s 2017 premiership. Richmond winning the 2017 premiership was quirky, fun and emotional. Their game plan, however, was simply to apply superior pressure around the ground without the ball. 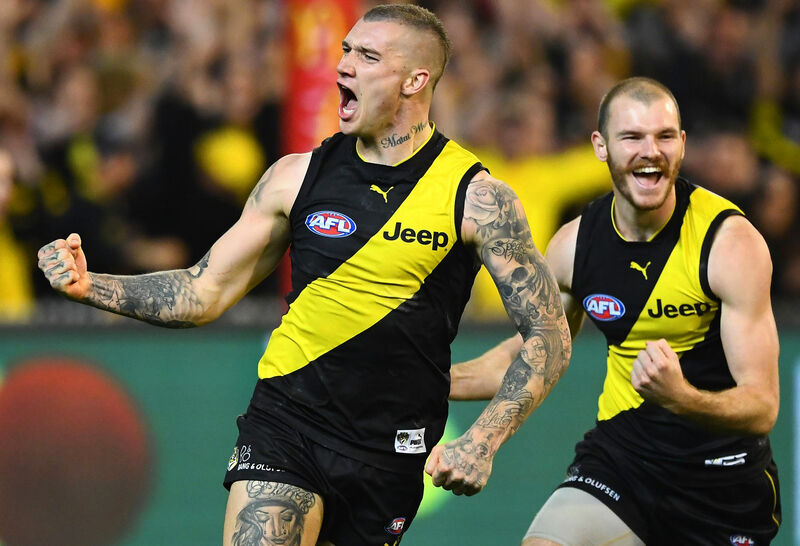 It could be breathtaking to witness at times, especially Richmond’s third quarter against Hawthorn last month and their final quarter against Geelong in September 2017. Damien Hardwick achieved the aim of all sports coaching, maximising the 2017 team’s strengths – their defence – and minimising the effect of their weaknesses. In particular the lack of tall forward options compelled Richmond to play small ball, with a fleet of small, fast forwards harassing opposition defence and applying a forward press. The Western Bulldogs in 2016 had done mostly the same thing, though they had more midfielders. It’s since Richmond and the Bulldogs won the flag that this style has come into fashion. Tall forwards were suddenly considered dinosaurs. The 2017 and 2018 seasons have been unpredictable because, with pressure the new black as the main characteristic of footy in recent years, anyone could potentially beat anyone not up for it on the day. I found Richmond’s ball use in their successful 2017 season quite average. They made a virtue of simply forcing the ball forward any which way through taps, tackles and scrubby kicks and then winning the next battle 30 metres away all over again. That was all well and good, but as Ross Lyon found with St Kilda and Fremantle, purely defensive strengths should not have been enough to win a premiership. It is not enough except in rare open seasons not featuring all-time powerful teams, like 1990, 1993, 1997, 2005, 2012 and 2016-18. To get to the summit you usually need some kind of method with the ball and fully functioning forwards, or, at least in the Bulldogs’ case, their revolutionary way of using handball. The 2017 season was an even one in which the 17th-placed team beat the first-place team twice in three weeks, and it arguably did not feature any epochal teams. Adelaide won the minor premiership with a win-loss record that would have left them seventh the year before. They were a brilliant steamroller at home but fragile away, as seen in their two most illustrative matches of 2017: the business-end finals against Geelong and Richmond. Richmond ultimately won for lack of anyone better. But their play was taken on board this year as the yardstick. 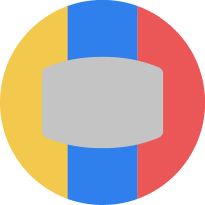 Commentators of Melbourne’s finals in 2018 talked about the Demons’ ‘chaos ball’ as a virtue. 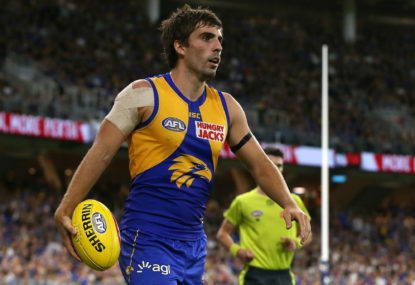 West Coast, with their dynamic attacking movement with the ball and old-school marking forwards Josh Kennedy and Jack Darling, crunched them. 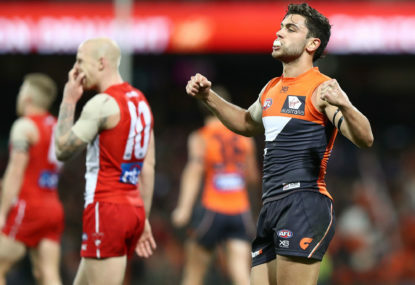 In both 2018 preliminary finals, when your chaos ball is not 100 per cent on, all we had left were two teams who misplaced handballs (Melbourne) or saw the opposition weave through them (Richmond). Pressure was not the be-all and end-all after all. As mentioned in other articles, with the zoning and forward presses rolled out by grand final teams Hawthorn, St Kilda, Collingwood, Fremantle, Western Bulldogs and Richmond this century, 2010s football is often a territory battle, like rugby. 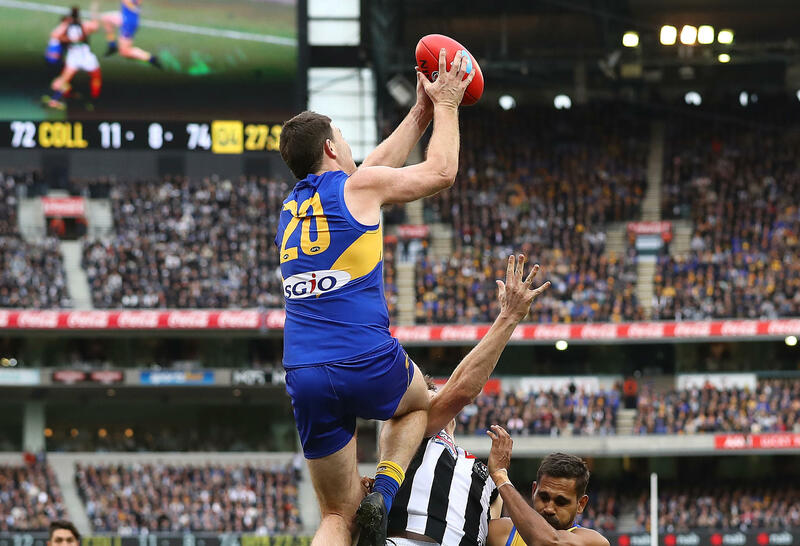 Witness the 2018 grand final’s last quarter and how extremely difficult it was for Collingwood to emerge from the Eagles’ last-quarter siege, and then for West Coast unable to do the same with the last minutes ticking away. 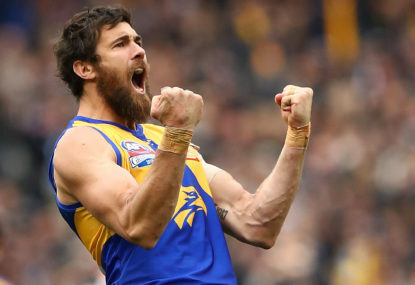 This is why the Jeremy McGovern-Nathan Vardy-Liam Ryan-Dom Sheed sequence is hailed to high heaven; it needed an almost miraculous chain for West Coast to get the ball out for just one more chance over the last seven minutes. Then when West Coast won the post-goal centre clearance, it was game over, and Collingwood could not clear it again. It’s all waves and phases. In 2005-06 Adelaide were setting in place a zonal system devised by coach Neil Craig, while Sydney won the 2005 flag by simply closing down space, winning two finals 56-53 and 58-54. The sport’s counterattack was again led by West Coast. Chris Judd described that the era’s fashion was to try matching Brisbane’s heavy bodies, but that Ben Cousins purposely trained to conversely be able to outrun those body types. From 2002-04 West Coast beat the imperious Brisbane Lions four out of five times – 160-91 at the Gabba in 2003 – and prompted Jason Akermanis, in his don’t think things through way, to later accuse Michael Braun of being uncatchable. There was one more unlikely era-changing thrashing West Coast dished out to a rival in 2006, their premiership year. While teams considered Adelaide’s defensive zone unplayable, West Coast secretly worked on a plan for multiple handballs through the centre square to speed up play and not allow the Crows time to set up their zone. As again detailed in Time and Space, the fab midfield of Cousins, Judd and Daniel Kerr took to it like ducks to water. 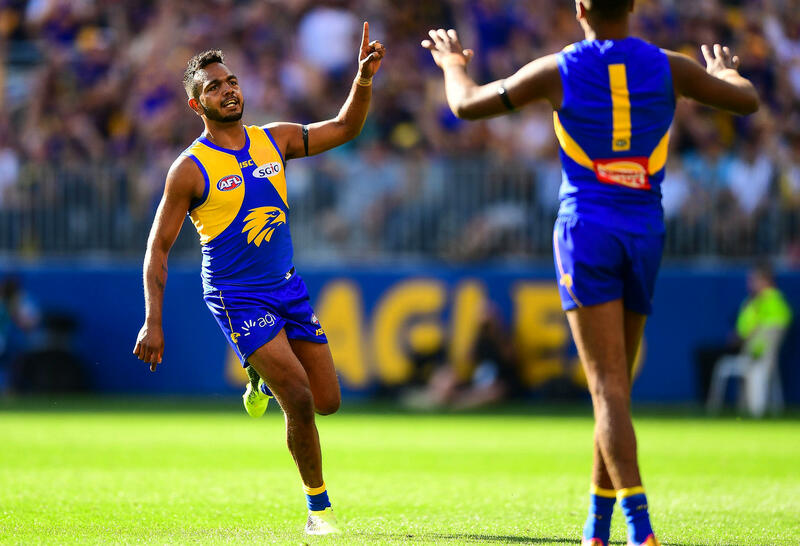 West Coast, with 227 handpasses, more than 100 over the average of the day, beat Adelaide 165-83, and the Crows, ‘the best-drilled team in history’ to that point, were finished. 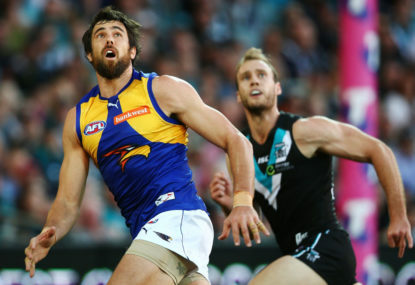 West Coast eked out the 2006 flag, Geelong went on with it featuring daring handpassing through the centre corridor in 2007, and that particular wave of defensive football had been defeated.